Posted on 04/16/2018 by Parklifer	in Live Review and tagged hip hop, marijuana, National Cannabis Festival, reggae, RFK Stadium Festival Grounds. 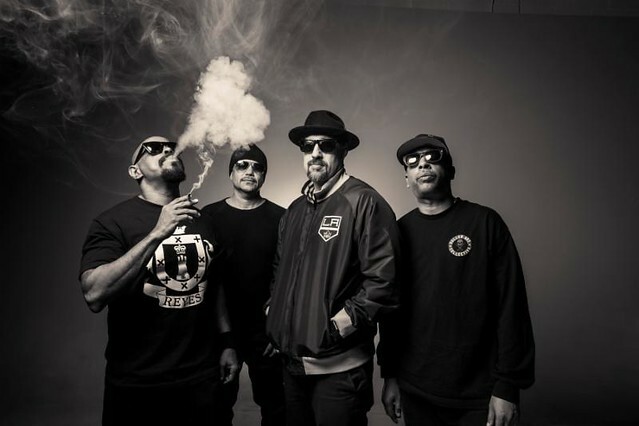 Groundbreaking hip hop group Cypress Hill, perhaps forever best remembered for 1994’s “Insane in the Brain,” will headline the National Cannabis Festival at RFK Stadium Festival Grounds on Saturday, April 21. Cypress Hill are slated to release Elephants on Acid, their ninth studio album, on April 20, the day before the festival. For the one-day National Cannabis Festival, the band are joined by reggae artists See-I, local DC legends Backyard Band, hot up-and-coming artist Beau Young Prince, DJ Ayes Cold, and local favorites Oh He Dead, Names, and MARLEE. The concert is hosted by Samy K. and Reesa Renee. The National Cannabis Festival held its inaugural concert on April 23, 2016, when 5,000 enthusiasts gathered at RFK Stadium for a show that included headliner De La Soul. For more information, visit https://nationalcannabisfestival.com. Buy your tickets online.